A synergized blend of organic herbs to decongest, detoxify, re-mineralize, tone and soothe the skin. A light yet nutrient-rich cleanser that effectively removes impurities and make-up while maintaining the skin’s natural PH layer. Designed for everyday use. Key Ingredients: Seaweed Extract; Organic Aloe Vera Gel, Organic Oils of High Oleic Safflower and Sesame; Organic Herbal Iinfusions of Burdock, Dandelion, Hops, Plantain Leaf; Organic Bulganan Rose Water; Organic Witch Hazel Water; Proprietary Blend of Medicinal Grade Essential Oils. Description: For normal to dry, dehydrated, sensitive and inflamed skin. Raw & Alive! 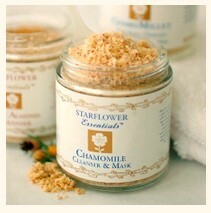 Chamomile gently exfoliates, deeply cleanses and conditions the skin to a beautiful fresh glow! It contains organic almond flour and chamomile herb and when mixed with water, delivers luster, elasticity and refinement to the pores. Loaded with a rich B Vitamin and mineral complex (fresh and raw) you will see your skin change before your very eyes and with your first application! Also, gentle and emollient as a mask. Exfoliants are a must for beautiful, healthy skin and ours contain no alcohol or preservatives. Application: Initially use once everyday until the skin is brought to balance. Thereafter, apply when you feel the need for exfoliation. If you live in a heavily polluted area you will most likely want to use this product everyday, morning or evening. Chamomile is an anti-inflammatory and is excellent for flare ups and redness. So, when time permits, leave on as a mask to nourish and soothe until dry. Suggestion: apply product about 5 minutes before a shower for easy removal. Key Ingredients: Almond meal, Organic Chamomile Powder, Proprietary Blend of Organic Essential Oils including Roman & German chamomile. Raw & Alive! 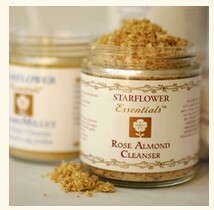 Rose Almond gently exfoliates, deeply cleanses and conditions the skin to a beautiful fresh glow! 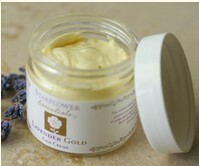 It contains organic almond flour and Bulgarian rose essential oil, more precious that gold. When mixed with water it delivers luster, elasticity and refinement to the pores. Loaded with a rich B Vitamin and mineral complex (fresh and raw almond milk) you will see your skin change before your very eyes and with your first application! Also, very effective and emollient as a mask. 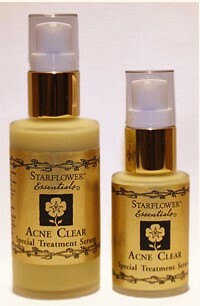 Application: Initially use once everyday until the skin is brought to balance. Thereafter, apply when you feel the need for exfoliation. If you live in a heavily polluted area you will most likely want to use this product everyday, morning or evening. 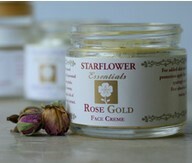 Because Rose Almond is anti-aging, when time permits, leave on as a mask to nourish and rejuvenate the skin until dry. Suggestion: apply product about 5 minutes before a shower for easy removal. Key Ingredients: Almond meal, Proprietary Synergy of Therapeutic Grade Essential Oils including Bulgarian Rose. Special Note: It is of utmost importance to keep contents dry to maintain freshness. Store in cool place away from excess moisture. An aromatic, antiseptic, antibacterial, nutrient rich toner to help hydrate and purify all layers of the skin. Rose Gold Toner is essential to apply before moisturizing as it helps prep the skin to absorb the beneficial ingredients within the moisturizer. Rose Gold Toner contains marshmallow root and organic aloe vera juice which contain biogenic stimulators that heal, regenerate, and tone the skin. Certified organic herbs and essential oils strengthen connective tissue and increase elasticity of the pores promoting deep tissue regeneration. This product contains the rarest medicinal grade, organic Bulgarian rose essential oil. Twice the value of gold, rose holds the highest measured frequency above all other flowers. Special Tips: Always shake well before misting. You never need to cover the eyes before misting as this product is beneficial to the skin around the eyes. Press into the skin with fingertips. Great after sun exposure to soothe and take out redness of sunburned skin. 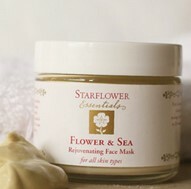 Follow with a Starflower moisturizer. When your toner is empty, you can refill with distilled water to make an instant Aroma Mist Toner. Just shake to blend the ample essential oil residue into the water. Now that’s win/win green economics for you! An aromatic, antiseptic, antibacterial, nutrient rich toner to help detox and purify all layers of the skin. Royal Vera Toner is essential to apply before moisturizing as it helps prep the skin to absorb the beneficial ingredients within the moisturizer. Royal Vera Toner contains fresh royal jelly and organic aloe vera juice(thus the name) to hydrate, protect collagen, and tone the skin while it strengthens connective tissue and increases elasticity of the pores. 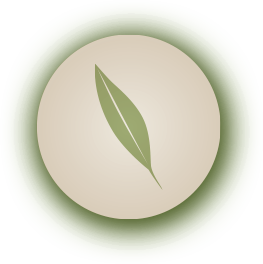 Synergistically blended herbs and essential oils promote deep tissue regeneration. Special Tips: Always shake well before misting. You never need to cover the eyes before misting as this product is beneficial to the skin around the eyes. Press into the skin with fingertips. Great after sun exposure to soothe and take out redness of sunburned skin. Follow with Lavender Face Creme. Key Ingredients: Organic Aloe Vera; Distilled Witch Hazel; Organic Herbal Extracts of Chamomile, Burdock, Marshmallow Root, Comfrey; Royal Jelly; Vitamin C; Colloidal Gold; Proprietary Blend of Organic Essential Oils including Lavender. This isn’t just any citrus toner using scents from common oils like orange and lemon. We’ve brought this toner to a higher octave by including rare, rejuvenating essential oils of Neroli (named after an Italian Princess of Neroli who loved the wonderful scent of orange flowers wafting through her window when in bloom), Mandarin and Petitgrain. Combine this with natural, high potency Vitamin C and North Atlantic Seaweed and it’s a winner for oxygenating, remineralizing the skin and refining pores. Special Tips: Always shake well before misting. You never need to cover the eyes before misting as this product is beneficial to the skin around the eyes. Press into the skin with fingertips. Cool Citrus C-Weed Toner is essential to apply before moisturizing as it helps prep the skin to absorb the beneficial ingredients within the moisturizer. Key Ingredients: Organic Aloe Vera; Distilled Witch Hazel; +Bulgarian Rose Water, Organic Herbal Extracts of Calendula, Marshmallow Root, Witch Hazel; North Atlantic Sea Kelp; Vitamin C; Colloidal Gold; Proprietary Blend of Organic Essential Oils including Neroli & Mandarin Orange. Creamy, lightweight aroma-therapeutic moisturizer for deep absorption availability. Anti-aging rose and chamomile essential oils deliver oxygen and encourage harmony within the capillary action of the skin. Herbal extracts such as calendula, chamomile and comfrey heal scar tissue, are anti-inflammatory, astringent, demulcent and emollient. The best organically grown ingredients for the face because of their small molecular size and anti-aging qualities such as borage, hemp and jojoba oils, aloe vera gel, monatomic mineral water complex, herbal extracts and Vitamins C and E.
Key Ingredients: Monatomic Mineral Water, Organic Aloe Vera Juice; Distilled Witch Hazel; Organic Herbal Extracts of Calendula, Chamomile, Comfrey root, Organic Green Tea Extract; Glycerin; Organic Borage Oil, Apricot Oil, Almond Oil; Co2 Extract Rose Hips Oil; Organic Jojoba Oil, Sea Buckthorn Oil, Organic Hemp Oil, Olive Squalene; Vitamin C & E; Proprietary Blend of Organic Essential Oils including Roman & German Chamomile, Bulgarian Rose. This is an all-around moisturizer for many types of skin. Sandalwood essential oil is highly anti-aging and resonates at an extremely high frequency, similar to myrrh and frankincense. 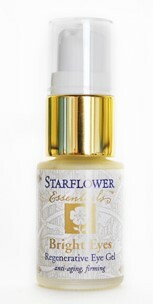 These three oils are synergized together to create a powerfully healing serum when regeneration of the skin is needed. Also, when that time of the month rolls around you can count on Sandalwood NIM to get rid of that testy blemish. We have had repeated claims from customers that, when applied at night, the blemish disappeared by the next day! You can apply sandalwood essential oil directly to the blemish as well if need be. It is one of those rare essential oils that can be applied ‘neat’ to the skin. Herbal extracts such as calendula, chamomile and comfrey heal scar tissue, are anti-inflammatory, astringent, demulcent and emollient. The best organically grown ingredients for the face because of their small molecular size and anti-aging qualities such as borage, hemp and jojoba oil, aloe vera gel, monatomic mineral water complex, herbal extracts and Vitamins C and E.
Key Ingredients: Monatomic Mineral Water, Organic Aloe Vera Juice; Distilled Witch Hazel; Organic Herbal Extracts of Calendula, Chamomile, Comfrey root, Organic Green Tea Extract; Glycerin; Organic Borage Oil, Apricot Oil, Almond Oil; Co2 Extract Rose Hips Oil; Organic Jojoba Oil, Sea Buckthorn Oil, Organic Hemp Oil, Olive Squalene; Vitamin C & E; Proprietary Blend of Therapeutic Grade Essential Oils including Sandalwood, Frankincense, Ylang Ylang. A very special healing day creme, rich in antioxidant protection and vitalizing herbs wild crafted from the Colorado mountains. A super soothing creme, ideal for traumatized skin in special need of repair (post-lazer surgery or chemical peels) and a blessing for burned skin with it’s anti-scarring properties. To reduce extra sheen, Chamomile Face Powder will seal in moisture and provide a smooth matte finish. Key Ingredients: Organic Cold Pressed Coconut and Virgin Olive Oil; Bio-dynamically Grown and Wild Harvested Herbs of Calendula, Elder, Hollyhock, Rose Petals, Self Heal, Chickweed, Lavender; Organic Vitamin E; Beta Carotene derived from Wild Harvested D. Salina Algae; Organic Essential Oil of Bulgarian Rose. Highly absorbent emollient oils and regenerative herbs provide effective daily moisture protection while stimulating balance and tone. For normal or dry skin which suffers occasional monthly breakouts. Key Ingredients: Organic Cold Pressed Coconut and Virgin Olive Oil; Bio-dynamically Grown and Wild Harvested Herbs of Calendula, Elder, Hollyhock, Rose Petals, Self Heal, Chickweed, Lavender; Organic Vitamin E; Beta Carotene derived from Wild Harvested D. Salina Algae; Organic Essential Oil of French Lavender. A healing, refreshing creme for night time repair and day time protection that assures a firm and supple appearance around the eyes. Bright Eyes Creme contains organic herbal extracts of eye bright and chamomile, organic aloe vera, royal jelly, organic borage, comfrey, black currant seed oil, regenerative essential oils such as chamomile, neroli, palma rosa, carrot and fennel. This delicate formula absorbs so readily into the small pores around the eyes and because of it’s toning and firming ingredients, will help relieve fluid retention under the eyes (puffiness). If you wear foundation or mineral powders around the eyes, Bright Eyes Creme blends well and is as a great base for a smooth flawless appearance. Key Ingredients: Monatomic Mineral Water; Distilled Witch Hazel; Organic Aloe Vera Gel; Organic Oils of Borage; Black Currant Seed; Organic Evening Primrose; Organic Jojoba Oil; Olive Squalene; Organic Herbs of Eyebright, Chamomile, Comfrey Leaf; Royal Jelly; Proprietary Synergy of Essential Oils including Chamomile, Neroli, Palma Rosa. A revitalizing, toning, stimulating and firming mask containing vitamins and minerals from cold pressed oils and healing earth and sea plants. Will infuse the skin with moisture and elasticity while imparting a wonderful floral scent. Apply after exfoliant and steam. Great for normal to dry, dehydrated, pale, lack luster, wrinkled, thin, slack tissue. 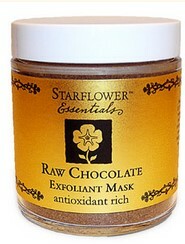 Raw chocolate is the richest antioxidant on the planet and this product has lots of it. We’ve combined it with raw almond meal for emolliency and freshly milled raw millet flour, the best grain for the skin and highest in organic silica. This makes a fabulous synergy for removing dead skin as it reduces wrinkles and pore size, tones capillary action, reduces surface veins and leaves the skin feeling velvety soft and smooth. Designed for all skin types and is optimal when applied after cleansing and steaming (optional) for weekly care. I like to soak in the tub for 5 minutes then stand up and rub the chocolate all over the body including hands and feet. Then I dip down in the tub and soak to my hearts content, absorbing the wonderful ingredients. Afterward, my skin is nicely toned and exfoliated, and my body feels invigorated. Raw & Live Skin Foods!! Restora transforms your skin while you sleep, restoring the skin’s natural mineral mantle. To help your skin’s natural process of regeneration, this formula consists of mineral rich organic herbs including horse tail, nettle, dandelion, arctic seaweed, comfrey, calendula, chamomile, red clover and astragalus; organic aloe vera gel, and the finest organic virgin green olive oil. The scent is restful lavender essential oil and is of medicinal quality from France. 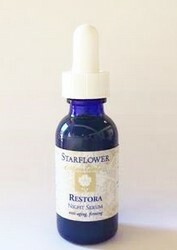 Restora will reduce or eliminate fine lines, moisturize and smoothe skin texture as you sleep. Also, very soothing to conditions of dryness, breakouts, psoriasis, and eczema. Application: After Cleanser and Nutrient Toner Mist, apply one dropper to the palm and spread with fingers to all areas of face and neck. Raw & Live!! At night your skin renews and repairs itself from the stresses of the day. 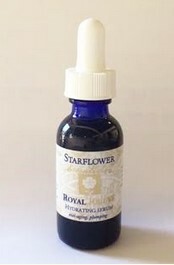 To help your skin’s natural process of rejuvenation, Starflower has created a beautiful synergy of raw royal jelly in a vital organic herbal complex consisting of 18 regenerative herbs, aloe vera gel, Vitamin C and green tea antioxidants, the finest organic Bulgarian Rose essential oil and raw honey. Royal Rejuve will reduce or eliminate fine lines, hydrate and plump your skin, and stimulate collagen renewal deep within your skin’s cellular structure. In the morning, your skin will look plump, smooth and refined with the appearance of a slight face lift. During the day apply under your main moisturizer for extra hydration and refined pores. Application: After Cleanser and Nutrient Toner Mist, apply one dropper to the palm and spread with fingers to all areas of face and neck taking care to stay aprox. 1/2″ away from eye area (for the eyes, apply Bright Eyes Creme). I like to follow Royal Rejuve with an immediate application of SkinDance as the two products work so synergistically together. Key Ingredients: *Eighteen Organic Herbal Synergy; *Raw Honey; Raw Royal Jelly; Vitamin C; *Green Tea Extract; Colloidal Gold; *Essential oil of Bulgarian rose and other *rare essential oils. A concentrated blend of organic plant extracts and healing oils to help balance, purify and normalize skin PH to assist in healing the ravaging effects of systemic acne. Key Ingredients: De-ionized water; distilled witch hazel; * herbal synergy including white willow bark, horsetail, chaparral, comfrey, echinacea, burdock; *aloe gel; oils of *borage, *evening primrose,*rose hip,*hemp, *jojoba; monatomic minerals;*essential oils of helichrysum, lavender, bergamot, geranium; vitamin C &*E; vegetable glycerin; *honey; colloidal siver; organicMSM( sulfur); glutathione; alpha lipoic acid; DMAE; *lecithin; xanthan gum;*grapefruit seed extract; *rosemary extract, beta carotene.